Melange Astris, one of the first service apartments in the city, is a home away from home with a swimming pool, WiFi for work, comfy beds and prime location at Richmond Road. It's also a great place for a staycation, if you live in the far ends of the city and have to be in CBD. Part of a residential complex, the Melange Astris is an apart-hotel (that is service apartments for the uninitiated), located conveniently on Richmond Road. This means you'll be smack in the centre of the central business district and not far from most of the city's attractions. Offering executive rooms, luxury studios, premium studios (great for families as they have two queen beds each) as well as swish one bedroom version of that, you can work out of here easily thanks to the WiFi. The location makes sure you can walk to Brigade Road, Residency Road, Lavelle Road for work and play. Plus, MG Road is just about a 10 minute walk away too. That's where all the action is be it food, drink or hitting up Cubbon Park for you morning run with yoga. When you're done with work, unwind at the swimming pool. 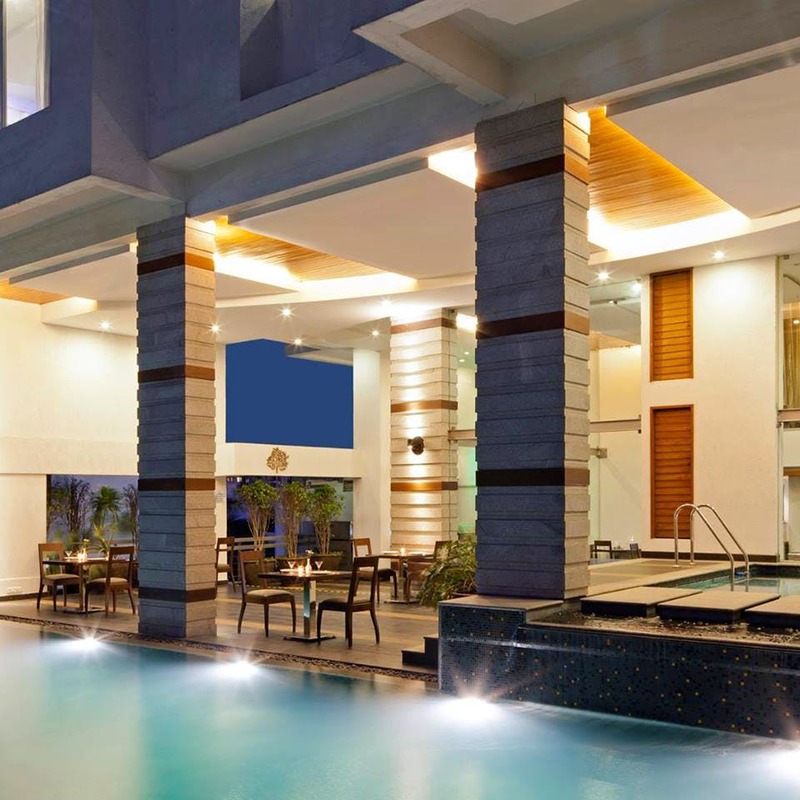 Be it a lounge about or a quick in-water workout, rejuvenate and then dine by the pool The LifeTree Cafe. Long stay guests can happily head up to their rooms and cook at the fully-equipped kitchen. If you want to pamper yourself, they can also organise a chef to spoil you with professionally made food.